The latest and greatest business jets redefine freedom, convenience, and comfort; launching the private aviation industry further and faster than ever before. Here is a look at some of the most anticipated jets to launch the next era of private jet travel. Gulfstream ushers in exciting innovations with the introduction of the Gulfstream G500 and Gulfstream G600. 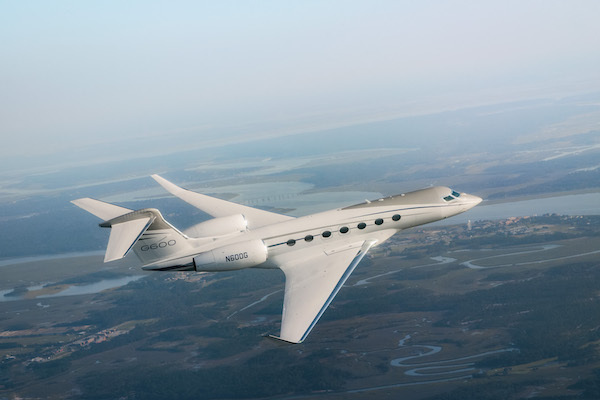 Gulfstream CEO, Mark Burns, attributes much of the successful creation of better products and a strong company to a, “…continued and consistent investment in our engineering workforce.” Both the G500 and G600 feature a wider cabin, fly-by-wire flight controls, active sidesticks and powerful Pratt & Whitney engines. The Gulfstream G600 features new wing and airframe advances, new engines and a uniquely shaped cabin to move travelers 6,500nm at Mach 0.85—faster than any aircraft in its class—without sacrificing fuel economy or comfort. Look for both aircraft to enter service in 2018. Bombardier’s dedication to timeless elegance is witnessed in the Global 7000; the private aviation industry’s largest purpose-built business jet— and the only one with four customizable living spaces and permanent crew rest area. 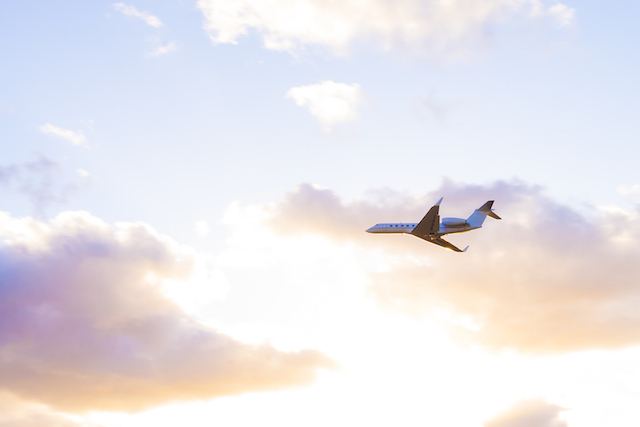 The Global 7000 was artfully designed to take you all over the globe, in complete comfort. 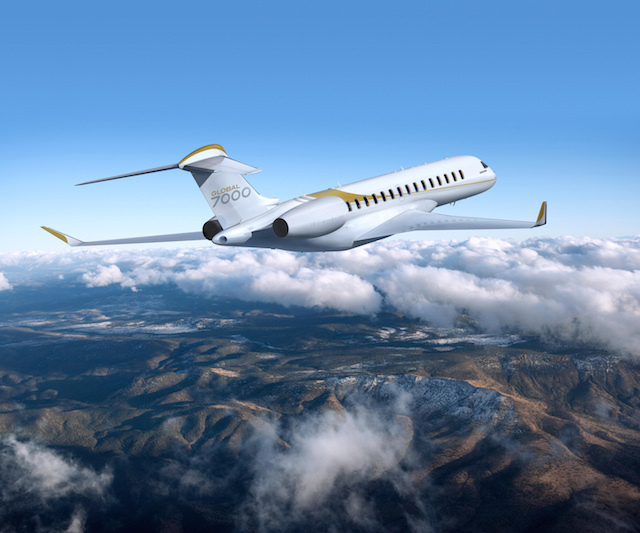 With a maximum range of more than 7,400nm, the Global 7000 can fly you non-stop between Sydney and San Francisco; New York and Dubai; or London and Singapore. The aircraft is expected to enter service in 2018. The latest and largest addition to the Cessna family is the Citation Longitude— an aircraft that redefines the standards for business air travel. No super-midsize business jet gives you more range, greater payload or higher cruise speed at a lower total ownership cost. With advanced pressurization systems it provides the lowest cabin altitude and quietest interior in its class, the Citation Longitude is an impressive addition to the super-midsize business jet market. The Longitude is anticipated to enter service in 2018. The Legacy 450 entered service in 2014 and displays a remarkable union of technology and design. It was the first midsize business jet with fully digital flight controls and fly-by-wire technology. The 450 also boasts the largest stand-up cabin and stowage capacity in class. Positioned in a niche Embraer refers to as “mid-light,” this aircraft can carry seven to nine passengers; depending on the cabin layout. In addition to an impressive cabin, the cockpit ‘wows’ pilots with its control systems and features. Safety is enhanced with the advancement of fly-by-wire controls, Rockwell Collins Pro Line Fusion avionics, and an optional head-up display. 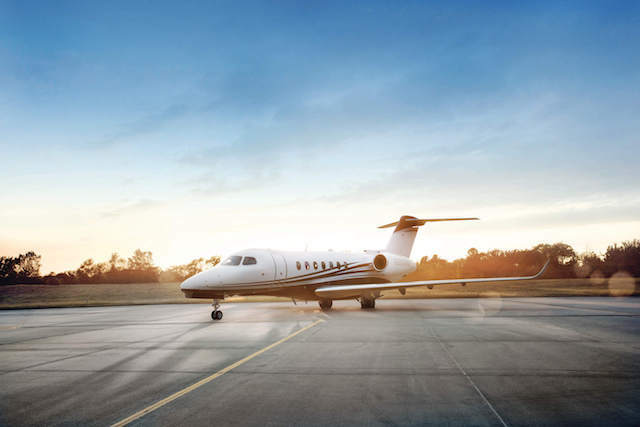 Embraer hopes to give midsize jet customers the same exceptional experience that they would have if they ordered one of the Lineage, luxury large-cabin jets; and with the Legacy 450, the company exceeds all expectations. The PC-24 claims a category all its own. 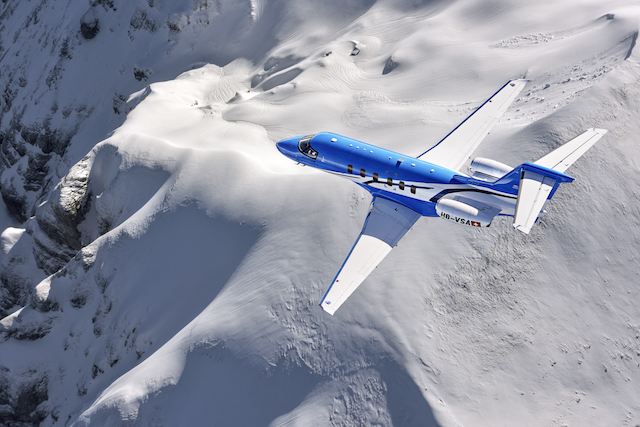 According to the manufacturer, Pilatus, the ‘Super Versatile Jet,’ “…doesn’t fit into any of the existing business jet categories.” As a twin-engine, jet upgrade to Pilatus’ single-engine turboprop the PC-12; the PC-24 holds true to its versatile reputation. The single pilot certified light-jet speed design employs state-of-the-art avionics technology, complete cabin comfort for up to 11 passengers, and performance levels that open up a world of new opportunities due to the aircraft’s short and rough field destination capabilities. 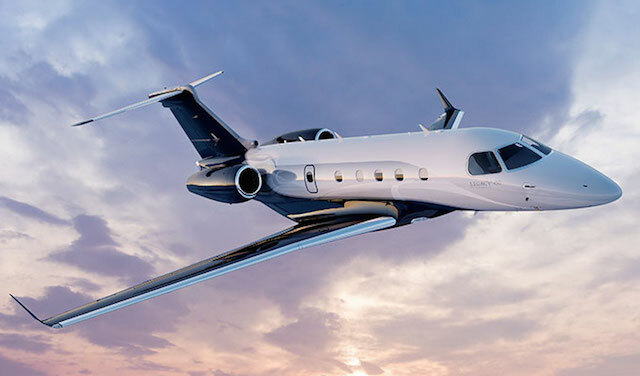 To see this exceptional jet up close, visit Pilatus at EBACE in Geneva Switzerland, May 29-31, 2018.